Guns N’ Roses guitarist DJ Ashba has offered up the latest excuse for the band’s notorious concert tardiness. Ashba says he understands why fans have resorted to bottling the stage or venting their anger on social media. "That kills us as a band because we're not doing any of this on purpose,” he explains. “Our main goal is to go and give the fans a show they will never forget and we understand how expensive tickets are. We take that into account and when we do hit the stage it's almost impossible to get us off." Ashba insists the delays have been caused by production issues rather than arrogance on behalf of leader Axl Rose, explaining a team of 100 people is co-ordinating the show from backstage. Read more with Ashba at Yahoo! 7 News here. The interview was done to promote GNR’s upcoming Australian tour with special guests ZZ Top and Australian rock legends Rose Tattoo. 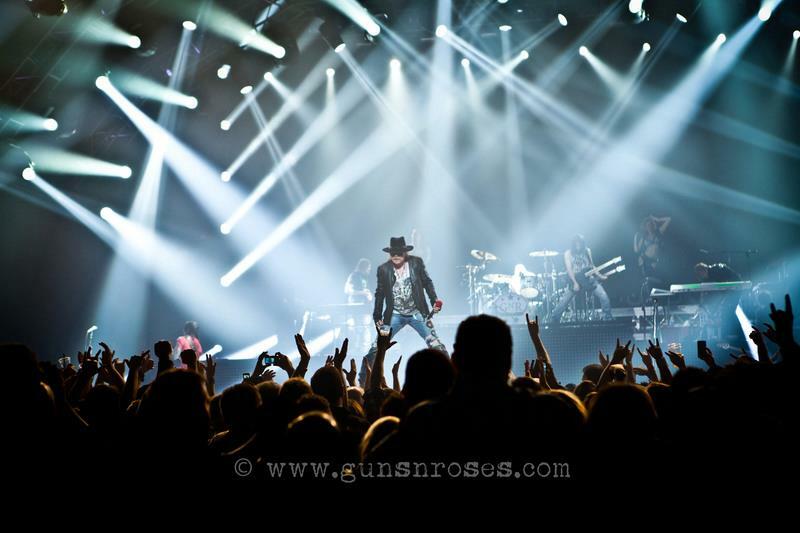 GNR will play shows in Perth, Sydney, Newcastle, Melbourne and Brisbane. Tickets go on sale through various outlets on Friday, January 25 at 9am.